Thankful for 4 Months Old! We certainly have a lot to be thankful for this year…two sweet babes, good jobs, fabulous friends and family, to name just a few. 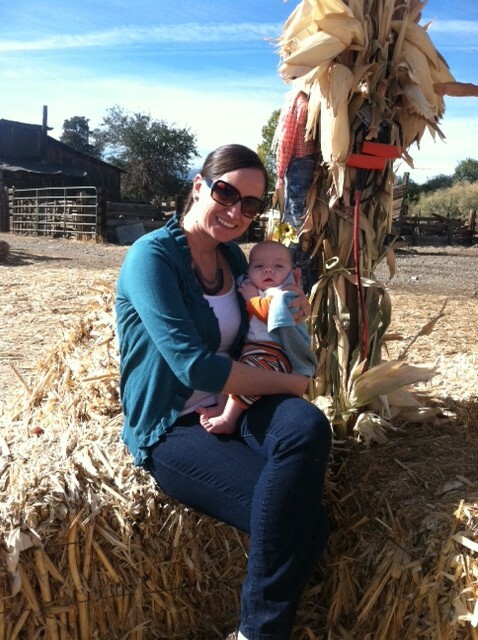 We were so blessed to be able to take our little family of four to El Dorado Hills to celebrate Thanksgiving. We arrived Wednesday evening and were entertained by Addie’s shenanigans way past her usual bedtime. 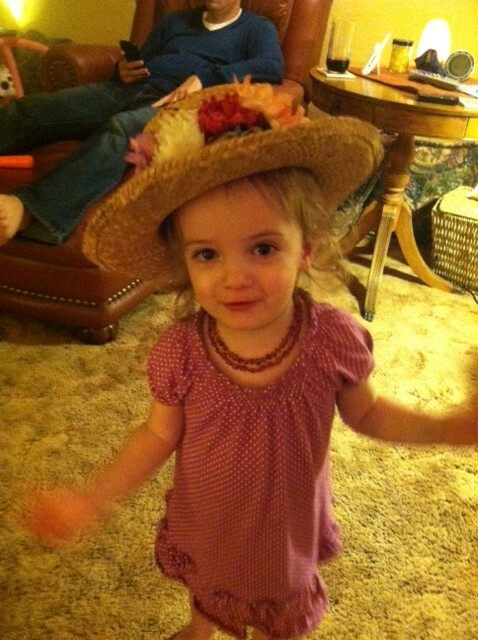 She was obsessed with Nana’s hats on the wall and insisted on wearing her favorite all night. 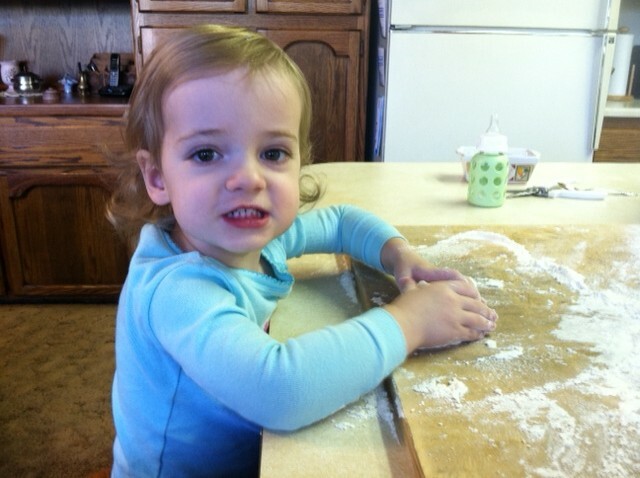 The morning of Thanksgiving, she woke up bright and early just in time to help Nana make home made bread. 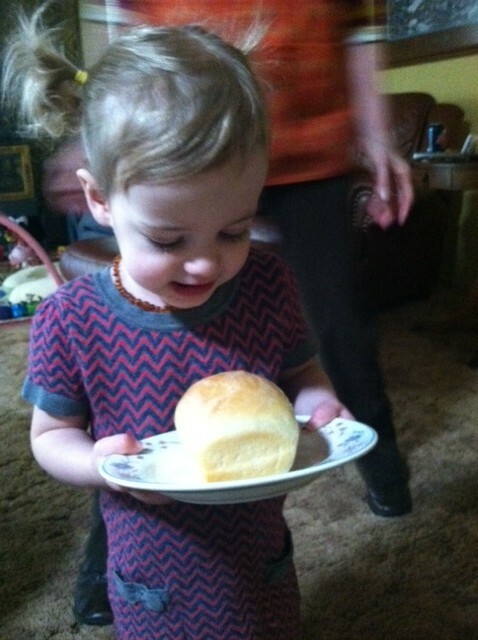 Addie kneaded her own loaf and was so thrilled with the results. She was even nice enough to share with the rest of us! Beckett was still having some eating issues and was not very happy during our visit, so again, all I have is a grumpy face to show. 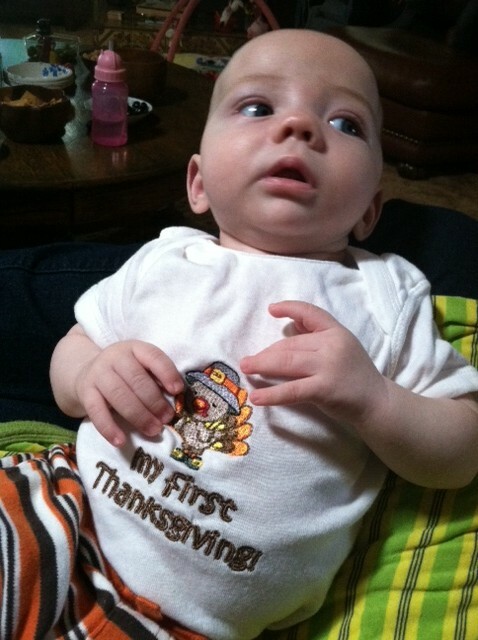 But he was still super cute in his turkey onesie! We’ve been growing increasingly frustrated with his feedings, so when we arrived home, Jimmy was determined to make some progress and rushed out to buy him soy formula. We started with his second bottle on Saturday and he ate non-stop without throwing up the entire day! So here we sit, four months into this life, and I feel like finally there’s a glimmer of hope. I think I said something similar last month, but this time around, month four is actually starting off in a positive direction. I still have some reservations about no longer giving him breast milk but if soy formula stays in his belly, that’s really the best thing! 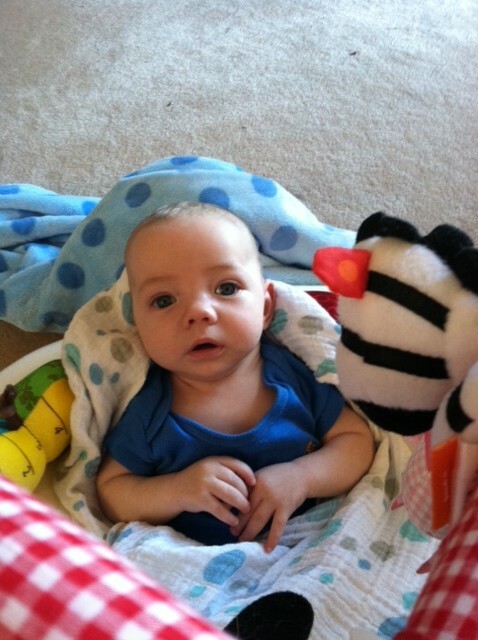 Happy 4-month birthday, little man! Another fun Halloween season has come and gone and boy, did we have a good time! 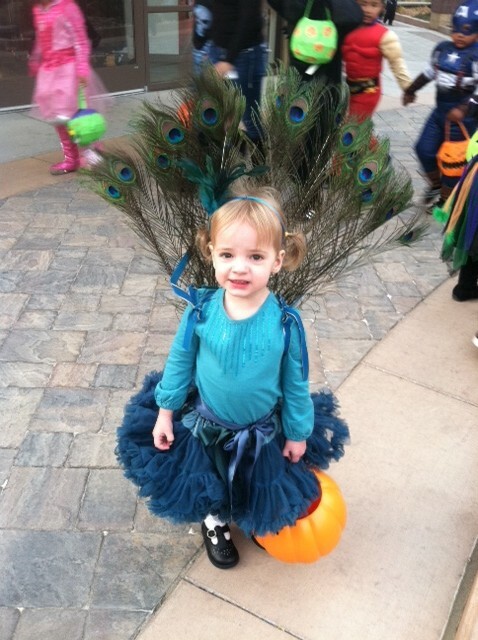 This year, Addie was a peacock and Beckett enjoyed his first Halloween as a tiger. “Enjoyed” might not be the appropriate word, actually! Jimmy says he was a roaring tiger. The only pictures we have of him in his costume are of him crying, but I’ll share a cute one with you instead. 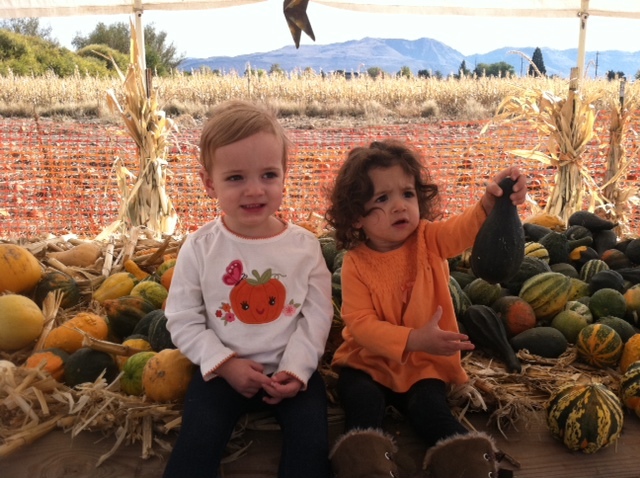 The weekend before Halloween, we went to the pumpkin patch with Addie’s favorite friend, Priya. She always has so much fun with her and this was no different. They pet the stinky zoo animals, rode around in a rickety old wagon and picked out pumpkins before disappearing into the bouncy house. Addie proceeded to barrel-roll out of it and onto the ground, which promptly ended our visit, but I think she had fun none the less! After that, Auntie Lyssa was sweet enough to come over to carve our pumpkins with us. 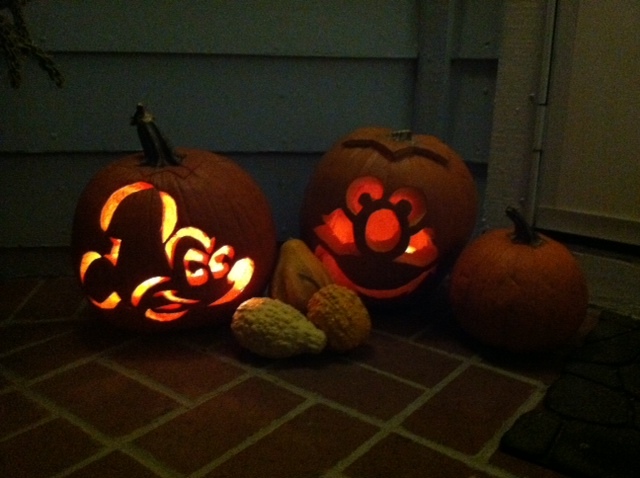 I did all the carving, she was just a director, but Mickey Mouse and Elmo turned out great and Addie was thrilled. This year, instead of neighborhood festivities, we took Addie trick-or-treating at Legends – no streets to navigate and we were done by 6:15. It was perfect, although we did have to steal her candy bucket and switch out all the hard candies with random snacks from our pantry. She didn’t know the difference! 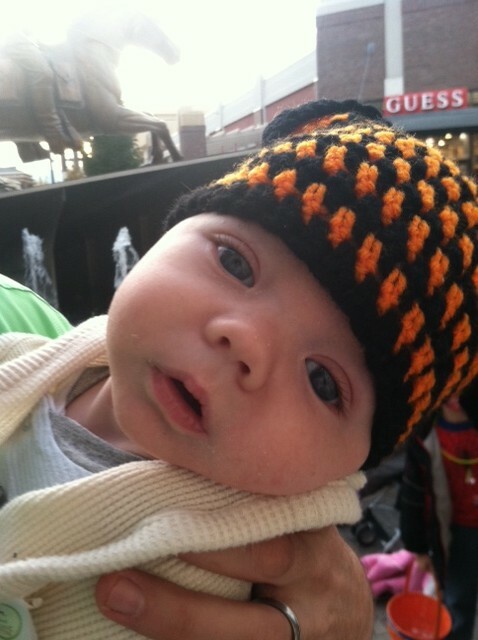 Yesterday, Beckett had a follow-up with the neurologist and repeat EEG. 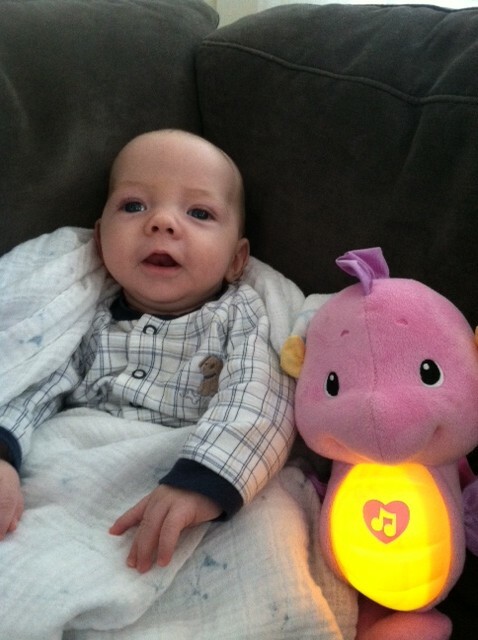 Click here to read more about HIE, the official problem Beckett experienced during delivery. Because Beckett isn’t cooing and babbling like babies his age should, I was extremely nervous for this appointment. On top of that, Beckett had been awake since 4am, so I was sure he’d be a screaming mess for this appointment. He was perfect though! Not fussy at all and fell right to sleep for the EEG, then woke up to play with the neurologist. He said the EEG results were good, he had a few small spikes of disorganized irritability but those are only a concern if present with seizures – which we haven’t seen any signs of. He said he wouldn’t be surprised if Beckett’s development is a couple month lagging, so we shouldn’t be concerned that he’s not babbling yet. He said his eye tracking is good, he just does it when he wants to, and that too will get more controlled with time. His departing comment was, “he looks good but we’re not out of the woods yet.” Follow-up appointment in six months but no repeat EEG needed. Well, we’ll take it!